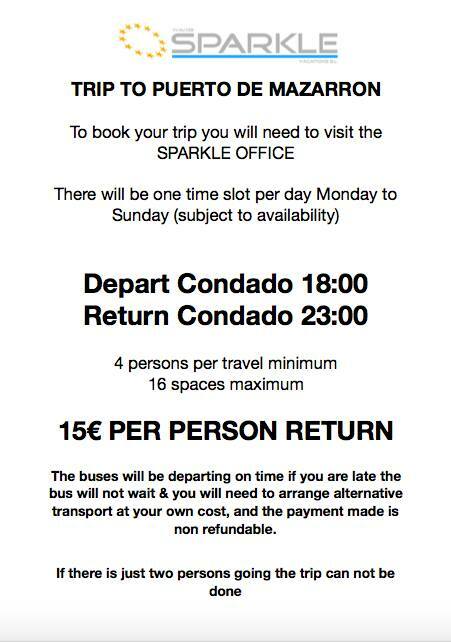 Here is the 2018 winter bus timetable for Sparkle Vacations. Minimum of 4 persons are required for the bus to run. Bookings must be made directly with the Sparkle Office at Al Kasar.